Refer to the map to see space changes. DLC Learning Lab and Design Space remain in the same location. 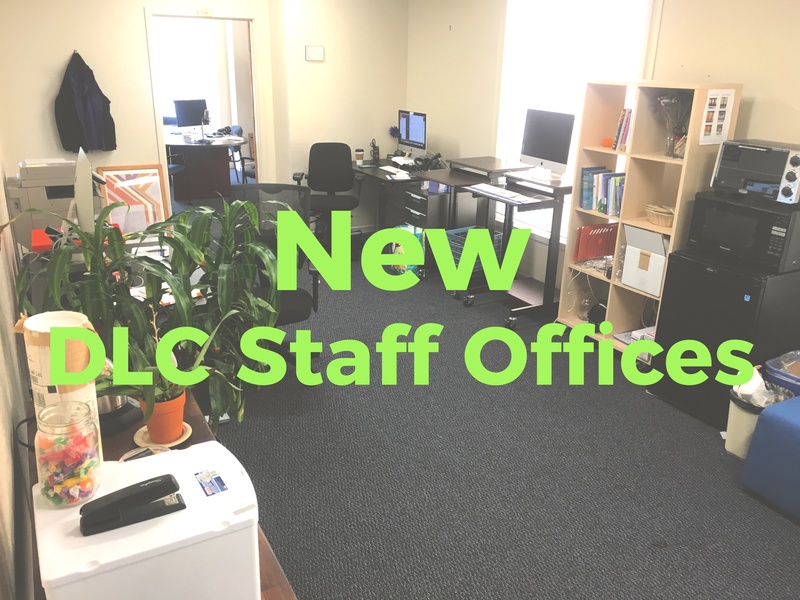 Staff in the Digital Learning Commons have recently moved offices as part of a larger organizational restructuring that is underway with colleagues in Vermont in the Academic Technology Group and the Office for Digital Learning. Bob Cole is now located in MG 220D. Evelyn Helminen and Amy Slay are sharing MG 220B. Mark Basse is outffitting MG220A to serve as a dedicated multimedia studio for audio and video production. Melissa Sorenson will be located in the MG 213 suite. It will also serve as a co-working and organizational development consultation space. MG210C, formerly the DLC “Pacific Room”, has been removed from the DLC reservation system and is now reservable on the campus Room Reserve System as a small group meeting room. The “Otter room” has been removed from the DLC internal reservation system. The entryway area to the MG210 suite, formerly the “Tidal Zone”, will remain open as a quiet area during regular business hours. Both the Lab and the Design Space located on the street level of Calle Principal and the first floor of McGowan will continue to be managed by DLC staff and graduate assistants. Appointments can still be made with DLC staff and GAs through DLC appointment system on our website. If you have questions, please contact DLC at dlc@miis.edu.